Professor Nik Nazlia? ?s research interests are in sustainability accounting and reporting, management accounting practices and student-centred learning approaches. Currently she is also working on a research project examining waqf financing for higher educational institutions. Prof. Nik Nazli has published her research work in both local and international journals including the Journal of Cleaner Production, Social Responsibility Journal, Corporate Social Responsibility and Environmental Management Journal and Managerial Auditing Journal. She also sits on the Editorial Board of the Journal of ... show more Financial Accounting and Reporting and was a member of the Editorial Board for the Accounting Education: An International Journal for several years. She has also presented papers in various conferences including the European Accounting Association (EAA) and British Accounting Association (BAA) Conferences. Prof. Nik was also a member of the Material Cost Savings Task Force with the Malaysian Productivity Corporation (MPC) from September 2010 till March 2012. During that period she participated as a member of the Malaysian delegation to the Asian Productivity Organisationa? ?s Materials Cost Flow programme in Japan in March 2011. Prof. Nik also served as a member of the adjudication panel for the annual NACRA (National Corporate Reporting Awards) Best Environmental Report category from 2004 till 2008. Recently she participated in ACCA Malaysiaa? ?s Integrated Reporting Stakeholdera? ?s Round Table. On the national education front, Prof Nik has served in the Ministry of Higher Educationa? ?s Quality Assurance Panel of Assessors in the academic review of the Bachelors of Accountacy Programmes in University of Malaya and University Malaysia Sabah. 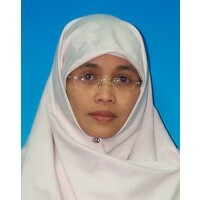 In 2013, she was appointed as panel of the Malaysian Institute of Accountinga? ?s (MIA) accreditation programme for University Putra Malaysia. Currently, she is a member of the MIAa? ?s Examination Committee. Prof. Nik joined IIUM in 1991 and has held various administrative posts in the University. Her most recent post was as Dean of the Kulliyyah from July 2013 till December 2014. She has also won the award for Best Teacher 2009 (University Level a?? Applied Arts and Social Science Category) and several awards at the Department/Kulliyyah levels for teaching and research. Prof Nik Nazli is also the joint recipient for the International Federation of Accountantsa?? (IFAC) Article of Merit Award 2007. 2017 - Present Organizational Change in Higher Education: Is Realignment Needed in Performance Measurement? 2013 - 2014 "Questionnaire Investigation on Material Efficiency in Malaysian Industries"
22 February 2004 Best Researcher Award. International Islamic University Malaysia - Kulliyyah level. 04 March 2003 Quality Research Award (Kulliyyah). Toward Sustainable Development : Environmental Perfomance and Social Accountability of MS ISO 14001 certified Sites in Malaysia - Kulliyyah level.